Nintendo has launched its second batch of downloadable DSiWare games and utilities in Japan, with one piece of new software even offering you the option of turning your DSi into a (pretty expensive) clock. are both in the cheap and cheerful 200 DSi Point category (£1.70). For the price of a cheap pint (in Japan) at 500 DSi Points (£4.25), there's a game for trainspotters called Hobo Nichi Rosenzu that enables you to nosey around the train maps for Tokyo, Osaka, Kobe, Nagoya, Sapporo, Fukuoka and Kyoto. You can even create your own map if you're so inclined. 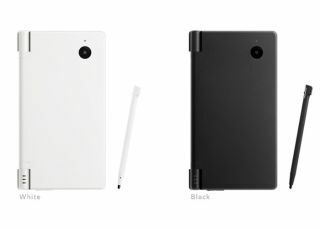 So, what else is now available for Japanese DSi owners? Art Style PicoPict & Somnium are 500 DSi Points, as is card game collection Chotto Asobi Taizen Jikkuri Trump and puzzlers Chotto Panel de Pon and Chotto Suujin Taisen. The DSi is rumoured to be launching in the UK in April.